In short, it is my opinion that the series misses the point, on many levels. Do we really ‘beat’ illness or injury? Appropriate evaluation and intervention is the accepted scientific approach. According to this article, ASD does not require any medical treatment. “It’s genetic… can’t be fixed… over- or mis- diagnosed…, brain disorder…” and can only be affected by the traditional person-to-person therapies. The non-improving child had “chronic ear infections… threw up daily for a year… but the doctor assured them that there wasn’t anything physically wrong with him.” Even if the cause of the vomiting was ‘benign’ (ridiculous), the resulting nutritional abnormalities could most certainly have profound downstream behavioral effects. Furthermore, the medical consequences of frequent antibiotic administration probably won’t respond to simpler treatments, such as “… sensory integration, megadose vitamins, therapeutic horseback riding, a vile-tasting powder,” as was acerbically offered as autism treatment. Nutritional status and ill-health are not even a consideration and recovery is basically presented as a enigmatic rarity. Even when significant improvement ensues, “Fein’s study found that formerly autistic people often have residual symptoms, at least initially; these include social awkwardness, attention deficit hyperactivity disorder, repetitive movement, mild perseverative interests and subtle difficulties in explaining cause and effect.” Most parents would be quite satisfied with the minor challenges that many of today’s neuro-typical individuals suffer. Finally, before falling into simplistic anecdotes about those who ‘beat’ ASD, the story takes a wild turn to discuss patients who don’t consider their condition an illness, or that it requires intervention. Their situation, some feel, is comparable to how homosexuality was previously viewed. Notwithstanding their present opinion, when such individuals were toddlers, their parents probably sought medical assistance. Other examples in the text included, HBOT and GF/CF diet. They all get lumped together. The Wakefield Effect. The studies cited in the cover story make it clear the reasons some children recover and others don’t are not only inexplicable, they’re inexplicably random, an incalculable mix of early intervention, hard work and luck of the draw. There was no mention of an addressable medical disorder. Do readers really become enlightened by this collection, or more confused? Autism Spectrum Disorder represents a variety of developmental abnormalities, presenting in the first few years, from which children may recover completely, partially, functionally, or very little. People don’t ‘beat’ a car accident, diabetes, or asthma. 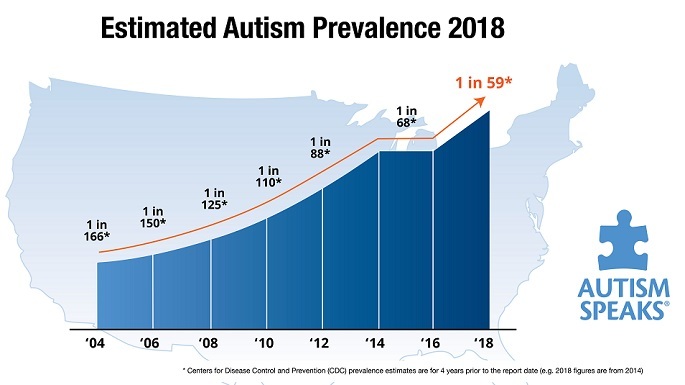 It is great that the epidemic is getting additional attention that will hopefully lead to increased funding for research that will lead to successful treatment(s). Scientifically addressing system disorders, such as nutritional deficiencies, G-I health and allergic inflammation, and combining them with traditional therapies mentioned in the article, will demonstrate that recovery is not a miracle, just a mystery because of our present level of (mis-) understanding. In the meantime, let’s worry about treating, not beating, this devastating problem. This entry was posted on Saturday, August 9th, 2014 at 8:20 am	and is filed under >ALL<, AD/HD, Alternative and Complementary Medicine for ASD, Autism Therapies, Gastrointestinal Issue, Patient experiences, Reversing autism. You can follow any responses to this entry through the RSS 2.0 feed. You can leave a response, or trackback from your own site. Great article, Dr.Udell… It keeps our hopes of recovery alive but realistic.